Tatum Fettig is a Mother to her two most precious children Judd and Teagan. On December 5, 2016 her two year old daughter, Teagan, was diagnosed with medulloblastoma (brain cancer). 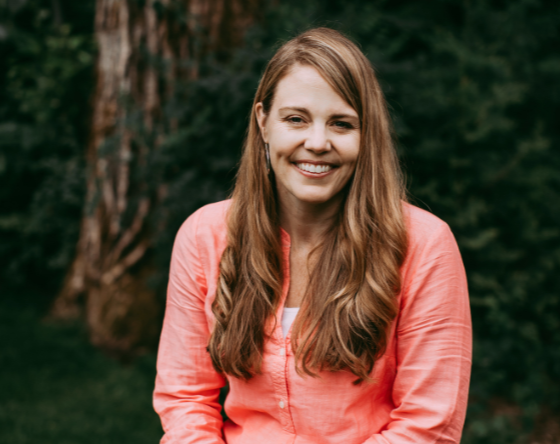 Tatum received her Masters in Education in School Counseling from Seattle University in 2009 and has been a high school Counselor within the Issaquah School District for the last 9 years. Prior to being a high school counselor, Tatum worked within the social service field for 8 years working with varying populations which included homeless adults and teens, mental health and dual diagnosis clients in an outpatient mental health setting, homeless adults who were a part of the mental health and/or drug court in Seattle, and legal advocacy services for survivors of sexual assault. Sooze Johnson has 22 years of extensive operations, sales, and marketing experience for the medical device, pharmaceutical, and biotechnology industries securing multi-million dollar Phase I-IV and medical device clinical research trials. Ms. Johnson has a thorough understanding of all areas of drug and device development including: early concept design and feasibility, drug development, verification, validation, FDA submissions, clinical research, and post-marketing surveillance with a special focus on supporting a product’s overall market strategy. In addition, Sooze managed and secured large-scale social policy and epidemiology research proposal efforts in numerous federal and state government arenas including the National Institutes of Health and the Centers for Disease Control. She served as account manager for clinical trial sales including: population based studies with hospitals, clinics, and managed care organizations; prospective outcomes studies; Phase I-IV clinical trial sales; and pharmacoeconomic research projects that collect patient satisfaction, well-being, quality of life, and health care resource utilization data. In May of 2018, Sooze was thrust into the unsuspecting world of lung cancer that resulted in a left lower lung lobectomy to remove non-small cell cancer, (although she was never a smoker). The greatest part of volunteering for STCC is the relationship Sooze has developed with Teagan “Sweet Tea” Fettig who adopted her as “Auntie Sooze”. Sooze’s most inspiring role model through treatment has been Teagan and her incredible resilience (and huge hugs). Tom Slining worked as an audit supervisor with the Department of Defense, a consultant, and a contract analyst before becoming Teagan's "Papa" in 2014. His work experiences in the financial world were weighted toward cost accounting and cost and efficiency audits and included work and living in Seattle, WA, Boise, ID, and Germany (for work in Africa and the former Soviet Union). 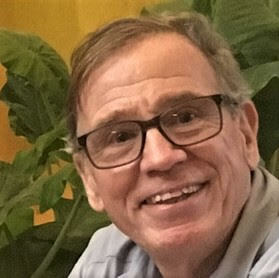 Tom is fully retired near the Cedar River where he enjoys cycling, running, hiking, traveling with his wife of 49 years (Suzy), cooking and hanging out with his grandchildren (Teagan and Judd). Kim Gooding is the Director of Marketing and Communications for Sweet Tea Cancer Connections. This non-profit is near and dear to her heart as she is a pediatric cancer survivor. She was diagnosed with Hodgkin’s Disease (cancer of the lymph nodes) at 13 years old. After a summer of surgeries and radiation she has been cancer free for over 30 years. Kim graduated from the University of Washington with a degree in Business Administration and has over 20 years of work experience in the property management industry, most recently as a Managing Director for Greystar Real Estate. She retired in 2015 to spend more time with her family and volunteer with an organization she is passionate about. Sweet Tea Cancer Connections is the perfect fit! Carolyn brings over three years of user experience design and research experience to STCC. After graduating from the University of Washington with a Bachelors degree in Informatics and a Masters degree in Human-Computer Interaction and Design, she put her excellent education to use by consulting at design agencies and startups such as UpTop and Possible, Alpha UX, and Stockpile. Meghan Slining is an associate professor of health sciences at Furman University. Prior to coming to Furman, she held a faculty position in the School of Public Health at the University of North Carolina at Chapel Hill. She is a nutritional epidemiologist with a focus on childhood obesity. Her research examines the social and environmental determinants of obesity and she strives to develop community-based intervention strategies aimed at reducing these determinants. She serves as the lead investigator for community-based obesity prevention efforts in early childcare settings. Meghan is Teagan’s aunt and favorite funny face making partner. Meghan earned her B.A. in multicultural health advocacy from Western Washington University, her M.S. in food policy and M.P.H. in epidemiology and biostatistics from Tufts and her Ph.D. in nutritional epidemiology from the University of North Carolina at Chapel Hill.